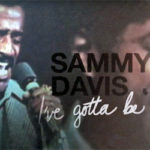 Title: Capitol Collectors Series: Sammy Davis, Jr.
04:06	 15/10/1957	 Why Shouldn't I? 07:44	 1/2/1966	 How About You? 07:44	 1/2/1966	 Could You Use Me? 08:11	 11/6/1966	 Sam, By George! Title: The Best Of Sammy Davis Jnr. 03:41	 15/10/1957	 What Is There To Say? 05:01	 15/3/1960	 Where Is The Life That Late I Led? 02:53	 7/2/1961	 Can't We Be Friends? Title: The Country Side Of Sammy Davis Jr.
03:43	 18/6/1966	 What Did I Have That I Don't Have? 03:00	 11/6/1966	 Where Is Love? Title: It's All Over But The Swingin'/I Gotta Right To Swing! Title: Hey! Won't You Play? Title: Lounge Sensations: Ring-a-Ding Swing! Title: Swingers Too! More Music From And Inspired By ... "Swingers"
10:30	 10/10/1962	 Sam, By George! Title: Here's... Sammy Davis, Jr. Title: Instant Party: Let's Swing! Title: The Essentials: Sammy Davis, Jr. Title: Lounge Legends: Sammy Davis, Jr.
02:54	 6/3/1969	 What Became Of Me? 03:02	 10/8/1966	 Shake! Shake! Shake! 02:44	 13/4/1965	 Do I Hear A Waltz? Title: Sings The Complete "Doctor Dolittle"
Title: When The Feeling Hits You! 02:39	 30/9/1963	 Flash, Bang, Wallop! Title: Sings Mel Torme's "California Suite"
05:30	 ca. 1966	 Do I Hear A Waltz? 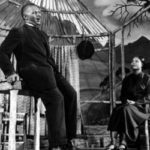 Title: Starring Sammy Davis, Jr.
02:47	 17/12/1956	 Will You Still Be Mine? Title: Seven Classic Albums - Sammy Davis Jr. Title: The Absolutely Essential 3 CD Collection: Sammy Davis Jr. Title: I've Gotta Be Me: The Very Best of Sammy Davis Jr.